A good sized bedroom with own bathroom available now in a really cute apartment! Some of the amazing features include: Perfect location - 500m to UQ - Extremely close to public transport: closest bus stop 2 minute walk (routes 402 &amp; 412), and Guyatt Park Ferry is &lt;400m - Right next to Guyatt Park - 100m from cycling road/tracks to city &amp; UQ - Toowong Village and train station 8 minutes of bus - 3 min walk to essential shops (little supermarket, Nandos, Indian restaurant, Domino's, bakery) - Off street parking available closeby (but you really don't need a car!) Secure - Gated apartment building with own keys - Apartment is the last one on the second floor (no one walks by our door) - Front door secure with three locks - Spacious balcony with security &amp; fly screen doors Fully furnished - All furniture throughout the apartment and bedroom supplied - Very clean - Fully stocked kitchen (many appliances, cutlery, crockery, Tupperware) - TV (with chromecast), couch, dining table, washing machine &amp; dryer, great fridge, &amp; freezer, dishwasher - Brand new oven and rangehood soon to be installed - Your own towels, bed linen &amp; sheets, picture frames (all supplied) - Covered balcony (also gets good sun) Own bedroom and bathroom - Your bedroom: single bed that pulls out into a king, storage drawers under bed, whiteboard desk with chair, large in-built mirror-wardrobe with hanging storage and drawers, cute 'reading window' nook, bedside lamp, fan with downlight - Room is carpeted - Opening windows with security screens - Large bathroom with good storage and a great mirror ALL bills included - Electricity - Water - Wifi An awesome roommate! I am looking for someone who will stay the long run; so there is no maximum stay! After 3 months we can see if everything is working out for both of us, and if all is good, then we can extend your stay for a time that suits us both. Please don't hesitate to contact me with any questions! Walking to UQ, City Cat Ferry and buses, Three comfortable rooms are available Now! Rm1 suits singles or a couple, rented for $270 ( Leased) Rm2 Suits a single person rented for $200 (Available) Rm3 Suits a single person rented for $205 (Leased ) Conveniently positioned close to the University of Queensland, this wonderful apartment has plenty space offering a good indoor and outdoor living... Lovely features include: This apartment is fully furnished with new furniture in each bedroom. Three generous sized bedrooms all with built-in Spacious open plan kitchen and dinning areas adjacent to the large balcony Clean and tidy bathrooms one with a bathtub Seperate laundry Secure complex in a quiet street Bills all included except internet. Amazing river view. Bus stop to city at front door. Grocery store and shops just a 3 minute walk away. UQ about an 8 minute walk. Friendly flatmates. Rooms have air conditioning and heating. Walk to Uni Shops Unlimted internet (100mbs) included in rent Large room fully furnished with -bed -large cupboards -desk The kitchen is fully equipped and there is a nice modern bathroom. Timber floorboards throughout the house. Really nice living room and great location. 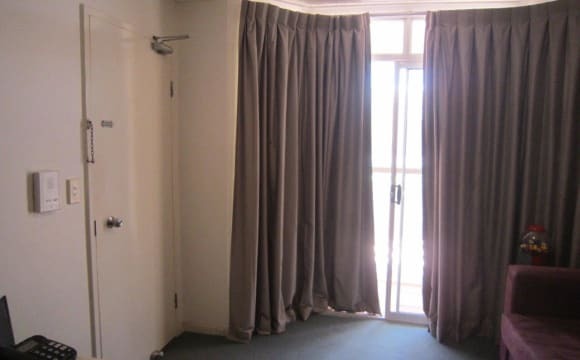 I have a double bedroom available in a two bedroom apartment a short distance to UQ. The room is fully furnished: - Double bed (Including two sets of bed linen) - Desk - Tower fan - Two bookcases - Smart TV - In-built wardrobe with shelf space - Key lockable door You will have your own bathroom with shower and bath, there are towels provided. The apartment is modern and clean, there is air conditioning and a lovely outdoor area with lots of seating, and an internal laundry. There is also a study with a printer, scanner, and shelf space. 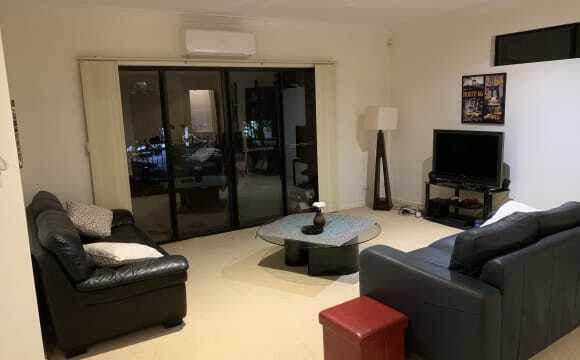 I have a small lounge room where you can access most apps such as Netflix, Stan, and many free channels. You also have access to a smart TV in your room which can access the internet and apps if you have your own subscriptions. The apartment is located across the road from a bus stop (routes 411, 414) and there is a bus stop around the corner (402, 412), and one up the road (428). By bus UQ is around 5 minutes, walking is around 20 minutes and Guyatt Ferry is around a 10 minute walk. Toowong village is a 10 minute walk gaining access to the Toowong ferry, bikeway (BCB), and train. There is no onsite parking, however there is lots of street parking available that is close by, or if you have a bike this can be stored onsite. Internet, gas (cooking and hot water), and water are all included, the electricity will be split (a meter read will happen on first and last day). For short term stays I am willing to consider an all inclusive price for utilities to make things easier. However, longer term leases would need to split the electricity, this will be on a case by case basis. I am happy to consider couples, however, this would involve a higher price. Please contact me for a price if you are a couple and want to rent. 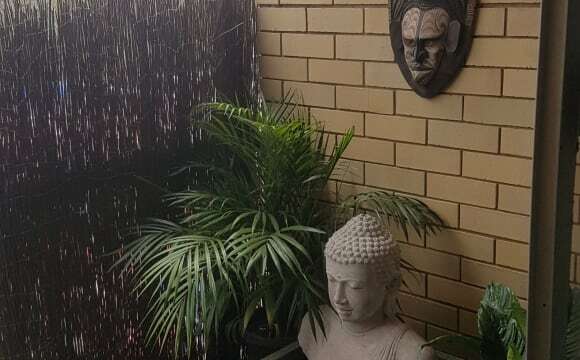 Unit is perfectly located for a student or a professional working in the city, as its close to a range of public transport and walking distance to the University of Queensland. The unit itself has polished concrete throughout living areas (bedrooms carpeted). Large kitchen, with all appliances. Internal laundry- in bathroom including washing machine and dryer. The unit is furnished and light filled- with large windows offering a continuous breeze, perfect for summer and stunning views of the river, park and Brisbane cbd. The room offers large windows and a large double. Bedroom is not furnished will have to get your own bed and stuff (Can provide some bedding and linen if need be.) Have a spare queen bed down stairs and other small items for the room if you would like them bills are gas watar and power $110a month. internet in $20. 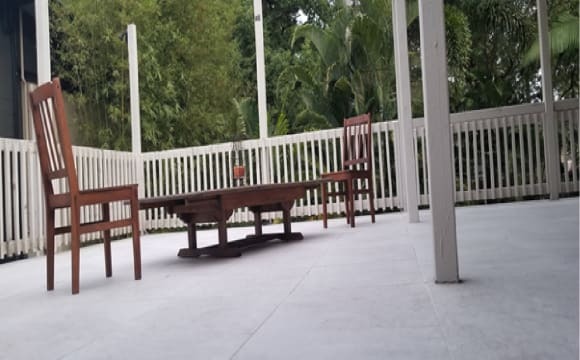 Do not miss out this opportunity to live in a modern and safe apartment in St Lucia (one minute to University). Close to Toowong Village, everything is in your footsteps. Full Furniture including a double bed. Transport: Very close to bus stations. Security: High level of security, you can open the gate with a remote. Facilities: -Swimming Pool. -Washing a Dryer Machine. -Car Parking (with remote control). BILL: Water and Body Corporate are Included. 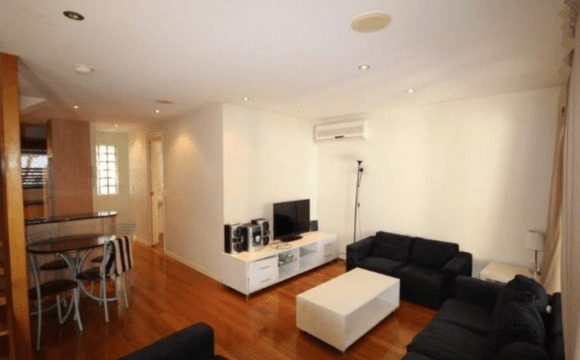 Close to UQ, shops and bus stop (with buses that take you to UQ, the City or Indooroopilly). Nice, spacious, breezy house with nice a nice view from the front balcony. Double garage with storage space downstairs. Room has newly installed air-conditioning (with heating). Unlimited internet for $20 a month. Room comes unfurnished, or furniture in the room (bed, chest of draws, desk, chair and lamp) can be purchased for $1000. Hello , I am looking a housemate for long term from 01 July. As seen on map, the house is close to UQ campus, grocery store on the way to campus, fully furnished with kitchen utensils. You will have your own a SMALL room $95pw for single (water bill included). Other bills (electricity, internet, gas) will be shared monthly about $15-20 pw per person. It takes 5 mins to walk to bus stop 412 / Guyatt Park ferry terminal to city, UQ or 2 mins to walk to bus stops 414 , and 18 mins to walk to UQ . All housemates are UQ students, respect other privacy, safe and quite environment. Hello , I am looking a housemate for long term lease on 01 July. 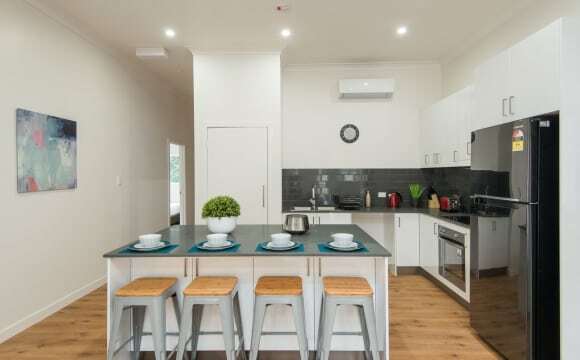 As seen on map the house close to UQ campus, grocery store, restaurants and bakery accessible on the way to the campus, fully furnished with kitchen utensils. You will have your own a SMALL SINGLE room only $95pw for single (bills not included). Unlimited internet available . Other utilities shared monthly around $15-20 pw each extra. It takes 5 mins to walk to bus stop 412 / Guyatt Park ferry terminal to city, UQ or 2 mins to walk to bus stops 414 , and 18 mins to walk to UQ . All housemates are UQ students, respect other privacy, safe and quite environment. 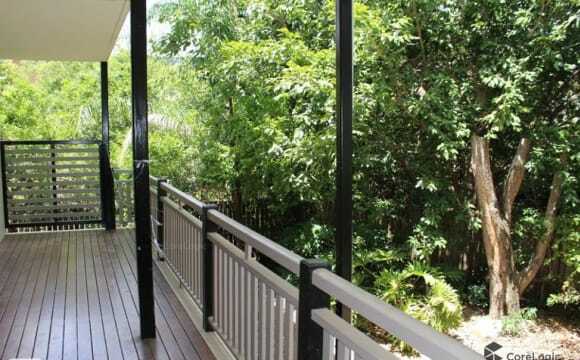 Great self contained flat close to UQ, busses and City Cat with separate entry. Suit university student or post graduate but not necessary. Shops and fast food in walking distance. In a quite area with no passing traffic. Water , electricity and internet all included. All you need to move in are sheets. Crockery , cutlery, glasses toaster and other equipment included. The biggest feature of this property is the location. Very close to University of Queensland and a quiet neighbourhood. The property has a tv in the living room and a nice kitchen equipped with everything that is needed. Preferably a 12 months lease for females ONLY. The corner bedroom (195) available with bed, table, chair and space for storage. The second bedroom (220) single and with huge deck, the bedroom has a single bed, table, chair, and bedding. Twin split level excellent brick house with swimming pool and the house has a modern kitchen, quiet living space, separate entertaining and dining area. No need to bring anything into the house, all furniture, washing machine, sofas, dining table, outdoor chairs, cook wear is provided. House security enabled and the house backs on to a lovely park. House is located about 3mins walk to main UQ bus stop/campus and literally 2 min walk to Hawken Village shops (e.g. Doctors, Physio, Student Flights, News Agent, Food Works Express, Hair Dresser, Post Office, Subway and a bunch of Cafes and Restaurants). Individual lease only. You pay rent only for your room, irrespective of who stays and goes from the house your rent will always be the same and will not be affected. Rent is not negotiable. No sharing rooms (as in one person for one room). Utilities (internet, gas, water &amp; elect.) are costed separately and are not included in rent. Utilities are paid each month. Bond is 4 weeks of rent. Parking on the Street or you welcome to apply for a residential street parking permit.